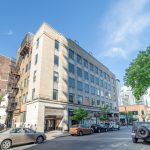 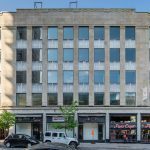 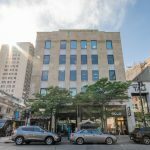 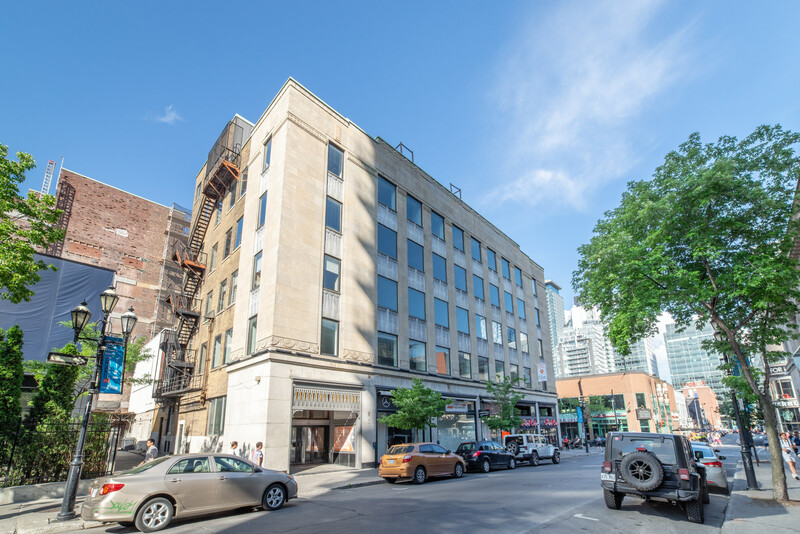 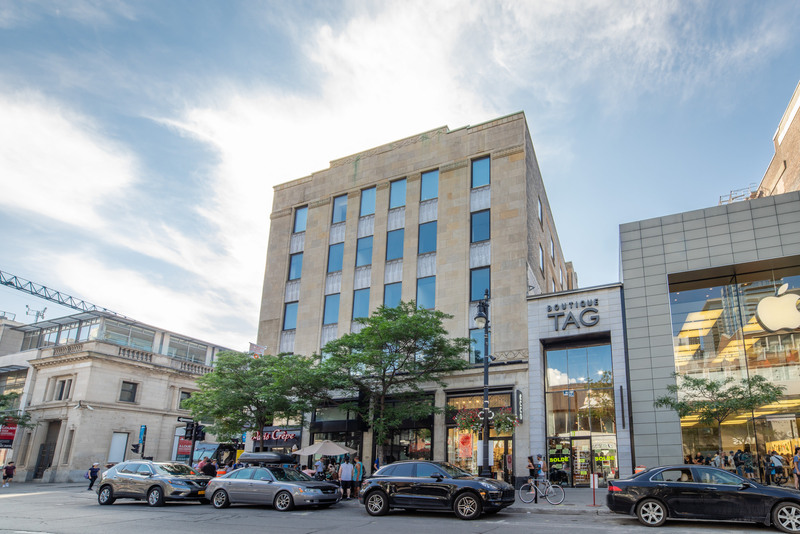 Located on the North-East side of Sainte-Catherine Street, 1405-1411 Crescent and 1327-1333 Sainte-Catherine is located on one of the most attractive retail corners in downtown Montreal today. 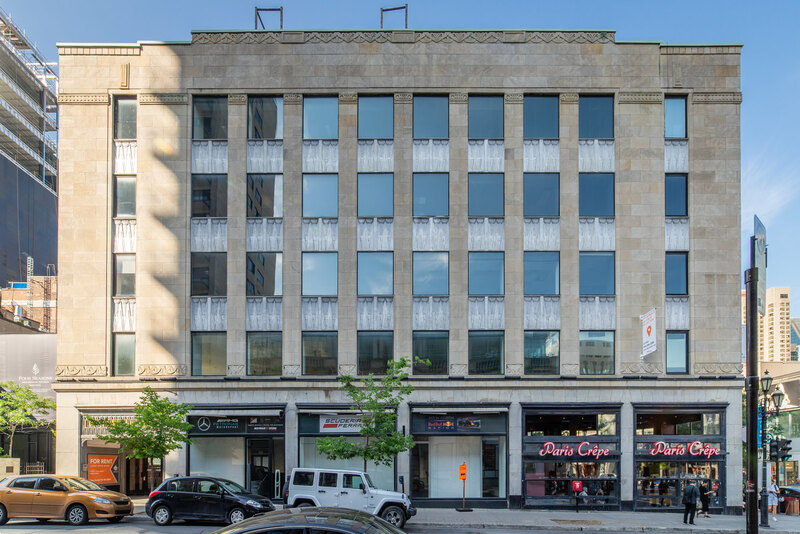 In addition to offering a prime retail location, this art-deco building also offers vast office spaces that benefit from great natural light due to the abundance of windows located on the building. 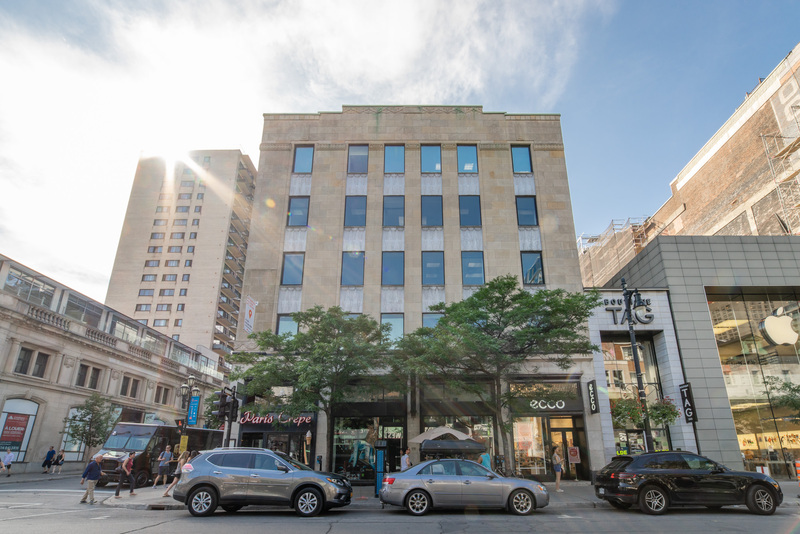 Strategically located in downtown Montreal, this building is easily accessible by public transit. 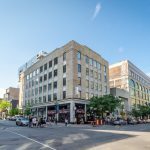 Five key metro stations are located just 5 minutes away, such as: Guy-Concordia, Peel, McGill, Lucien-L’Allier and Bonaventure stations. 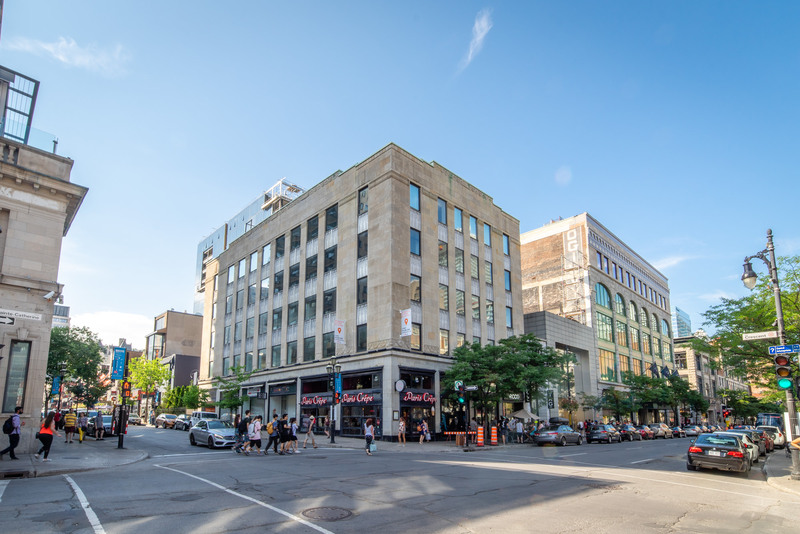 For those whom opt to take the bus, lines no 15 and no 358 have a stop located at the corner of De La Montagne Street, which is no more than a minute’s walk away. 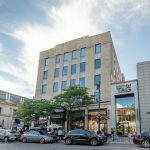 In addition to this, a plethora of bus lines stop along René-Lévesque Boulevard, which is located no more than a 5 minute walk away from the building.